Although Apple's own stores appear to be well-stocked, AppleInsider checks on Tuesday indicated that third-party vendors like B&H and MacMall have limited inventory of the MacBook Pro, in both 13- and 15-inch sizes. Many 12-inch MacBook configurations, meanwhile, are also out of stock at resellers. Availability can be seen in the AppleInsider Price Guide. Such stock-outs are often a sign that merchants and/or Apple itself are trying to drain inventory in advance of a refresh. 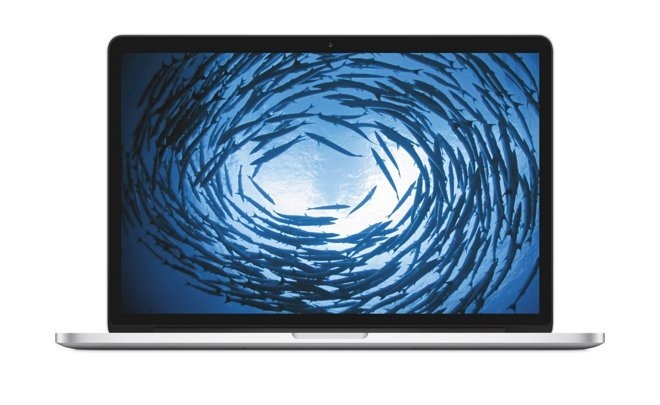 Simultaneously, DigiTimes supply chain sources claimed that Apple is preparing to ship new 13- and 15-inch MacBooks at the end of the second quarter, implying sometime in June. Though the site didn't specify which specific models it meant, it described the new systems as being "similar" in design to the 12-inch MacBook, and thinner than the current MacBook Air. While both publications have a mixed track record with predicting Apple products, the DigiTimes report does align with an Economic Daily News claim from November that Apple is planning to revamp the Air line, possibly scrapping the 11-inch model in favor of a 15-inch one. Alternately, the company might just be planning to thin down the Pro. In any event all three MacBook lines are likely to see refreshes in the next several months, potentially timed with Apple's Worldwide Developers Conference in early June. The Air has lagged behind other MacBooks in recent years, changing relatively little in terms of design. The computer is in fact the only MacBook without a Retina display, though as a tradeoff it's also the least expensive model, starting at $899.